Aito village lies on four hills: "Jabal Aito (El Aren), El Alama, Dnit, and Kanissa Hill. It is one of the first villages in Casa Zgharta. The name of Aito is translated as' Summer Resort "in Syriac, in reference to its location on an elevation relatively close to the coast. Aito is famous for its horn-like structure cut into rocks, known as the Qarn (Horn) of Aito. Aito's landscape is rocky, with forests of trees growing between the rocks. The town has some old ruins, such as an old tower and a temple. Above the temple stands the Monastery of Saint Simon (Al Amoudi) indicating that this land was a Phoenician place of worship. The Shuane Lake is located on the river bank of the Ibrahim River, at the north side of Jabal Moussa Reserve. This reserve extends over a large area and offers exquisite views as well as the special flora and fauna that cover about 6,500 hectares. This lake is, by far, one of the most beautiful places in Lebanon. Level 6 (Hard): we will start by going up a steep hill to “Ibri “village then we will proceed downwards from the other side to the Shuane Lake. The trail is composed of 10 km of steep uphill and downhill. Level 3 (Easy): we will head out directly to the Lake where they can do a little bit of swimming and take plenty of photos. Karm El Mohr is a small village situated in the Kaza of Donniyeh in North Lebanon. There is no apparent reason behind the name of this village. Most probably, its name goes back to marriage endowment (Mohr = endowment) and its vineyards (Karm= vineyard), which were considered the bride’s endowment, which resulted in its name Karm El Mohr. Another possibility goes to the fact that a guy from the Mohr family used to own most of the vineyards in the village. Karm Al Mohr is known for its abundant springs of fresh water. You can fill up your water bottles several times during the hike. Daraya is also a small and beautiful village in the north. 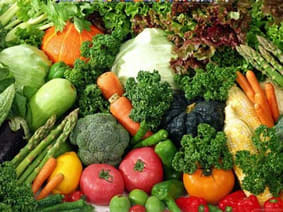 Agriculture is the main activity of the town. Come and experience the pleasant moments of hiking at the coast, while watching the beautiful summer sunset. This hike is a unique one, blending together the beauty of nature and historical ruins. We will start our hike from Horshieh, where a very cozy path among olive trees will lead us to a small church called Saidet el Khrayeb. We will then continue among the olive trees until we start seeing the sea. The track will then lead to Anfeh, an old village rich in ruins and caves. There, you will visit a very old Byzantine church among other historical monuments. The Citadel of Anfeh will be an important stopover in our program. For more, check our YouTube channel. Lightweight or medium weight boots covering your ankle. A hat or cap well ventilated. Bonnet and gloves if it's cold. A warm windproof jacket. A polar jacket if it’s cold. Walking poles, especially for downhill. 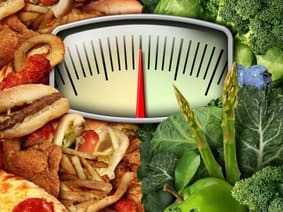 Privilege carbohydrates and fats such as fruits: apple, oranges ... dried fruits: dates, raisins, nuts, almonds ..., chocolate, biscuits. One and a half liters to two liters of water. Waterproof high shoes covering your ankle with multi-layer soles. Après-skis preferably. If not provided, get with you nylon bags to cover your boots. Waterproof ski clothing: pants, etc. Woolen hat and gloves. The head, ears and neck must be well protected. Spare clothing may be needed to avoid being wet for a long period of time, in case it happens. The hiking to Dhour Choueir this saturday was really lovely! Thank you guys! You are the best! Cu soon! As usual with your team the day was wonderfull the level 6 was not easy but challenging...we had a very nice and tasty barbecue for lunch.. I would like to thank tony in level 6 for his support and Encouragement...thanks for Marc and all the stuff of vamos tacos for giving us a day far away from stress of life.you are the best. Merci pour cette belle journe malgre LA difficulte du level 6. Comme toujours tout est super bien organiser.on a EU un excellent barbecue succulent. Merci Marc tony et TT le stuff de vamos todos qui ns Donne tj des moments a ne pas oublier. 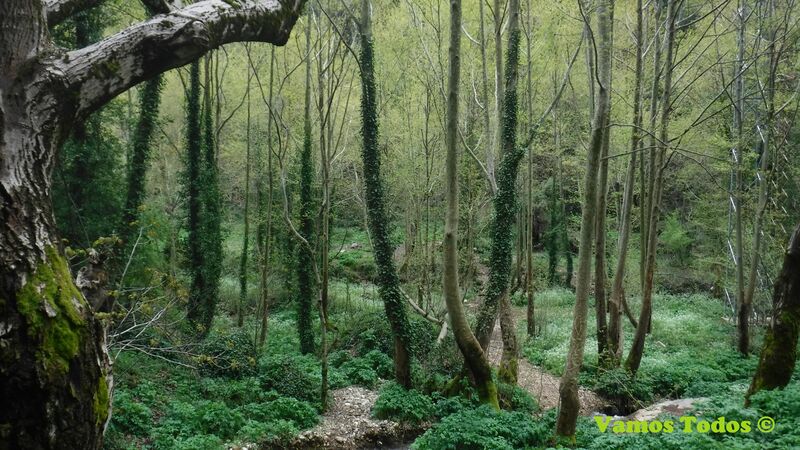 Vamos Todos is an ecotourism NGO that promotes and encourages the love of nature amongst its members, thus seeing life through a new perspective. The name Vamos Todos, which means "Let's go all together" was chosen to reflect the spirit of our club, where you can participate “in a different way, in a better way”, which is also our slogan, in any of the multitude of activities which will be organized for you, with one major goal in mind: HAVING A GREAT TIME. 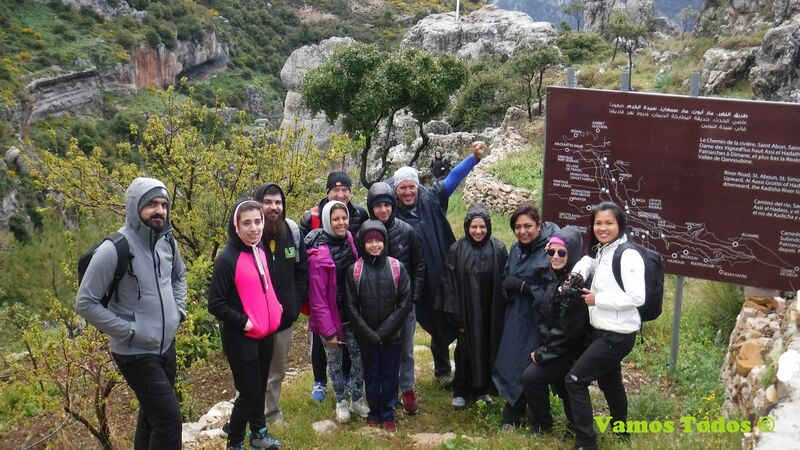 The club was founded in September 2006, by Mark Aoun, a Lebanese guy who has been hiking for more than 20 years, and has been all over Lebanon as well as some other countries. He would like to share with you his love for nature and life, introducing you to the magnificent place which is our home country. Our success goes to a professional team who gave from their heart to ensure this NGO’s success. We cannot omit mentioning those who were with Vamos Todos as of the beginning, namely: Alba Wardini who is the heart of Vamos Todos and Tania Charabati. We were one team at the launch of VT! Special thanks to the professional guides, particularly Tony Fallakha and Elie Saade, who gave and are still giving so much for VT.
We, at Vamos Todos, plan to help you enjoy every single moment you spend with us by offering you a variety of social events, outdoor adventures, sports activities, overseas trips and unusual experiences which will whisk you away for a day or two from your daily routine, bringing you back happy, refreshed and ready to confront another tiring week of work. Hiking in beautiful nature reserves and small villages. Snowshoeing over the beautiful white covered mountains in time of winter. Wine tours and wine tasting at boutique wineries. Sightseeing for historical monuments and mystical sites. Adventure weekends in the mountains or on the seaside. Caving, mountain climbing, rappelling, scuba diving, camping, rafting, canoeing, biking and ATV. Sunset hikes at that spectacular moment of the day in diverse regions. Night events such as night hikes, fishing nights, karaoke events, beach parties and social dinners. Workshops in various fields of interest; yoga, photography, archaeology, sea rescue operations and many others. Team Building and Games particularly for companies. 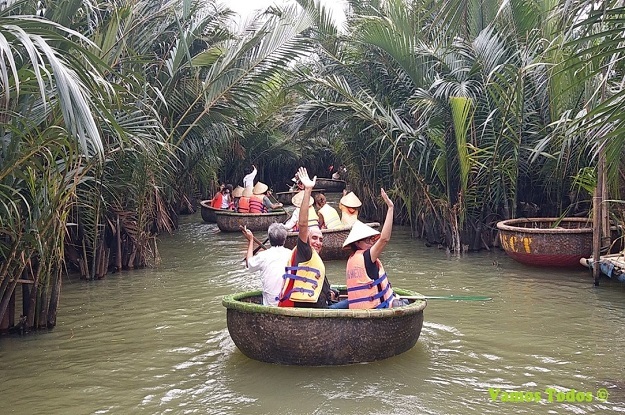 Trips abroad to Vietnam, Sri Lanka, Cuba and many others, to discover new faces, exotic cultures and breathtaking sceneries. Humanitarian events to help needy citizens such as orphans and elderly people. We organize special events for private groups, for institutions and for schools. Such events are custom made to comply with your requests. At Vamos Todos, club members do not simply follow, but they join in. We are hoping that, with your ideas and suggestions, our range of activities will become unlimited. All ideas and suggestions are always welcome. So come on, join us and Vamos…. Todos ! The founder of Vamos Todos since 2006. He has an extensive knowledge in ecotourism, ecological best practices, and in Lebanon geography and history. He is a multitask guide and has his own great way to manage the events. The photography guru framing the whole areas of Lebanon with her amazing pictures that make memories unforgettable! By her administration, she was one of the founders of Vamos Todos. The man of difficult missions, always ready for hard levels and impossible missions. He is a guide in Vamos Todos since 2007. The adventurous explorer. He has given 3 to 4 full years to Vamos Todos, before getting married. He's still a very active guide, ready to help anyone who needs it. The detail oriented soul. He took responsibilities in guiding and financial administration in Vamos Todos since 2013. The sweet manifestation of ecotourism, she adds value with her presence and gorgeous photographic frames. She is responsible of multimedia and administration tasks since 2015. The young talent adding significance through her skilled presence and attentive performance. She is as well responsible of administration tasks. The technical advisor of Vamos Todos working mostly behind the scenes, responsible of the online platforms and taking care of sustainable ecotourism projects and eco-travels. When you become a member, life will become easier for you in many ways. 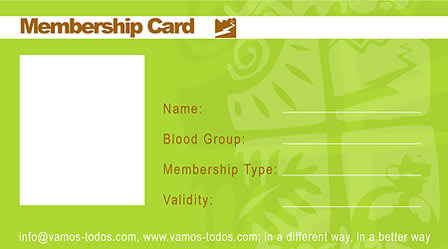 You'll be paying less not only in Vamos Todos activities, but in many others. Get the best brands at affordable prices. - You'll pay less in all Vamos Todos activities. - A 25% discount at Sport Experts. - 15% discount at FujiFilm Lebanon, Antaki group. - 30% discount from Naji Sfeir (Master Scuba Diver Trainer). We'll update you on any new stores and centers that will give a discount or an offer when available. You'll start as a normal member and the more you go with us, your membership will become mature to be Silver and by time Gold! Copyright © 2019 Vamos Todos. All Rights Reserved.